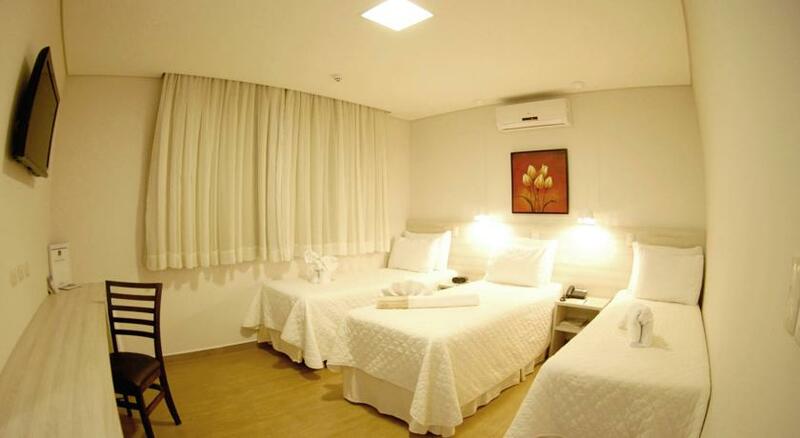 BEST WESTERN Tarobá Hotel prioritizes comfort and distinguished service to cope with its charm and design. The Hotel is in a prime location in Downtown area. The main distinguishing features are the comfort necessary for your rest and our commitment to the environment. There are 176 modern and cozy rooms. They are all equipped with box-spring bed, hairdryer, cable TV, digital safe, electronic lock, handrail in the bathroom, electric kettles, telephone with electronic and voice mail, minibar, cool/heat air conditioning and clock radio. Rooms are 100% non-smoking, adapted for people with special needs. The breakfast buffet has FSP (Food Safety Program) seal, which proves that we meet the needs of our guests with quality. Guests may also count on pantry and Business Center with internet and printer at no charge for use, games room, fitness center, open and heated swimming pool overlooking the city and the zoo. In our Hotel Wi-Fi is free as well as parking.